KATHMANDU, Feb 1: As the government plans to host Investment Summit next month to attract foreign direct investment in Nepal, the US – one of the major potential source countries for FDI – has said that “real, bold and tangible reforms both at laws and practice” are necessary to instill confidence among potential investors. The US has said that the government must come up with necessary measures to bring reforms in laws, policies, procedures and corrupt practices that continue to keep investment away before hosting such a summit. “The embassy is concerned that holding this forum before real, bold, and tangible reforms are made, both to laws and practices, is premature and risks undermining Nepal’s credibility and investment prospects when investors see the reality on the ground,” said the US embassy spokesperson Andie De Arment. A report recently released by Transparency International showed that Nepal slipped two points to 124 in the Corruption Perception Index (CPI) in the year 2018, indicating that the situation of corruption is worsening in the country. “The United States wants to see Nepal succeed, and we believe that can best be achieved by real, bold, and tangible reforms in place to woo prospective investors,” she further said. US officials have maintained that there is no new narrative to share to prospective investors to invest in Nepal. The government plans to host the Summit on March 20-30. The cumulative American investment in the Indo-Pacific region as of last year reached $940 billion. “The US embassy would love to attract a large portion of that to Nepal. Once reforms are made to law and practice, the Embassy would be pleased to be the loudest champion for a Nepal that is open for business,” the spokesperson further said. This is the second time Nepal is hosting Investment Summit to attract FDI. 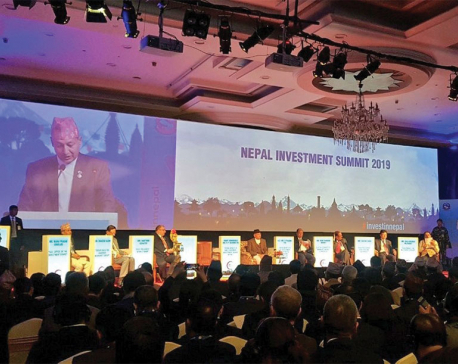 The first Nepal Investment Summit held on March 2-3 last year had brought 500 participants, including over 250 investors from 23 countries. 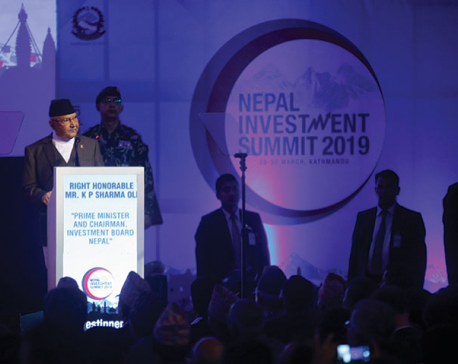 The participating foreign investors representing 26 firms from eight countries had even pledged through letters of intent to invest $13.74 billion in 10 various sectors of Nepal. However, most of the investment pledges remain limited to paper only.